So I think I have turned into one of those crazy planners who have an undying obsession with stationary supplies. 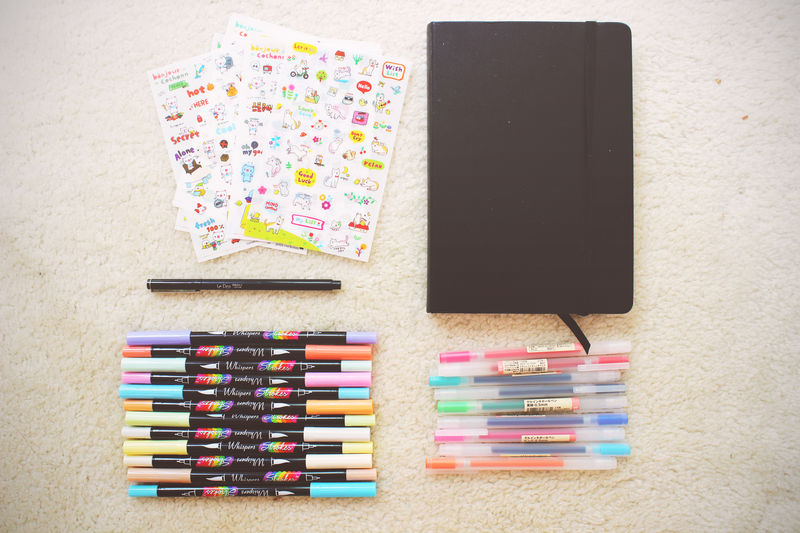 I don't know why, but there is just something about pretty pens, cute stickers, and the idea that I somewhat have my life together. I have two Pinterest boards relating to this topic: one being my planner board (here) and another being my desk board (here) because a desk is a very important part of my so-called productivity. I thought I would share some of my stationary favorites if any of you are looking into what to buy if interested in bullet journaling, planning, or just need some nice office supplies. These are probably a part of the official cult of stationary products (is that even a thing?). These pens are created by Muji, which is a Japanese store that sells so much stuff, not just stationary. These pens have to be my favorite brand of pens at the moment. They glide so smoothly and apply very pigmented ink. The size I own is .05mm which is the perfect size to start off with. Highly recommend. Available here for $11.94. Back in my scrapbooking days, I picked up a pack of these dual-ended pens. At the time, I really didn't get much use out of them because I was using a lot of opaque colored paper which does not work well with pastel colors. When I started bullet journaling, I whipped these out and was pleasantly surprised. The colors are a bit faint, so after I use the brush applicator I have to go over it with the pen for more definition. However, it does the trick and the colors are beautiful. Since the time I bought them they were reformulated and a lot of people do not like the new formula saying that they dry up and are lousy. So some good alternatives are the dual brush pens, koi pens, and sakura pens. Available here for $13.99. Another official cult of stationary favorite is the Le Pen. It is similar in style the Sharpie pens, but they are a lot smoother, fit more comfortably in the hand, and dry instantly. This is my go to black pen on the daily. The only gripe I have with it is that the ink is not the darkest black, but lighter variation of it. Available here for a $1.47 as an add-on item and here in a pack of four for $6.88. The next favorite has to be my first bullet journal. This journal is a great entry notebook for people who want to try bullet journaling. It is cheap, of good quality, and it is simply pretty. It also comes with a heap of pages, so if you mess up, turn the page. Available here for $11.69. 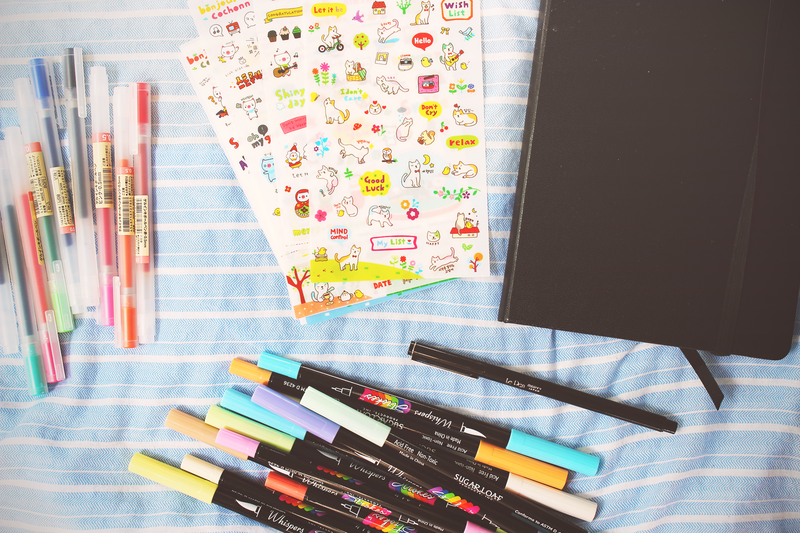 No journal or stationary set could be complete without adorable stickers. I am absolutely in love with these cute character stickers from Korea, also Japanese deco stickers. Don't overpay on Etsy or Amazon. The cheapest stickers you can get are from Aliexpress, also they sell extremely cheap washi tape on there as well. Available here and here for $0.72 and $0.99, respectively. 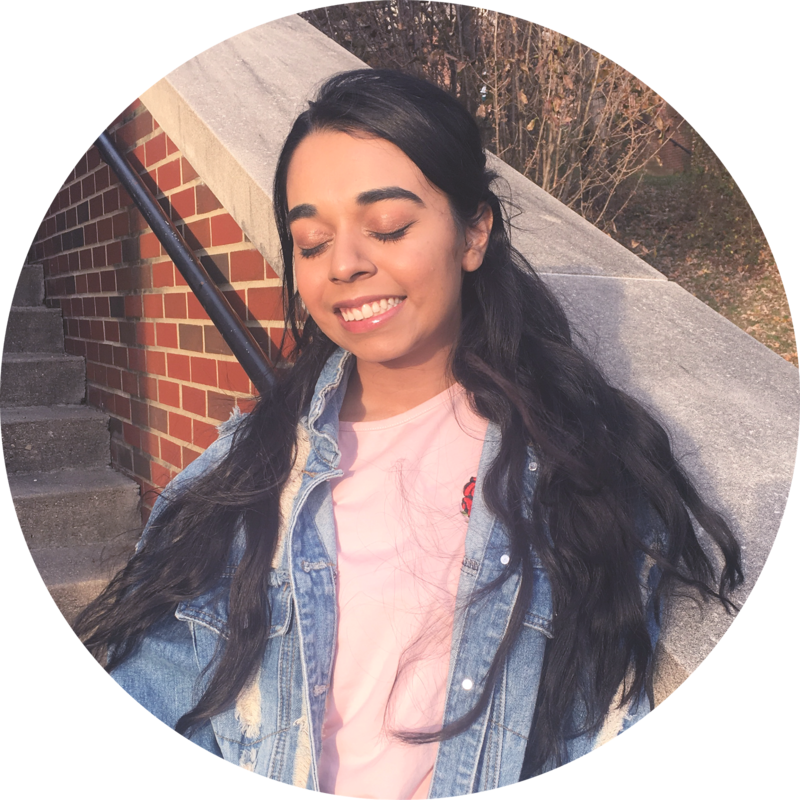 Overall, I hope you enjoyed this post and found it a bit interesting. If you start bullet journaling, share your spreads with me in the comments below. Follow me on Pinterest and tell me your Pinterest handle so I can follow you!